Our Villa in Tuscany has a large Veranda - Porch 4 meters wide and 15 meters long. In the pergola there is a wooden table for 12 people and a sitting area with armchairs and sofas where guests can relax and admire the Tuscan panorama. 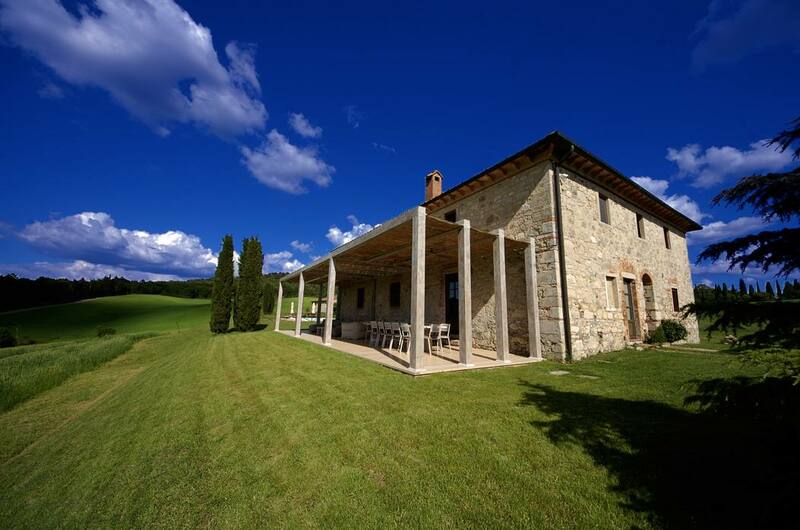 The Veranda of the Villa allows guests to have 60 square meters of shade with a fantastic view of the Tuscan hills. During the hot summer days you can relax in the living room, have lunch all together enjoying the cool as this pergola has a northwest exposure, while in the evening dine watching the fantastic sunsets. To access the porch you pass from the kitchen on the ground floor of the villa.